← Connecticut Governor Dan Malloy’s income tax bill favors the rich. It places Connecticut’s deficit on the backs of the middle class. Is Dannel Malloy positioning himself right of center because of future political aspirations? 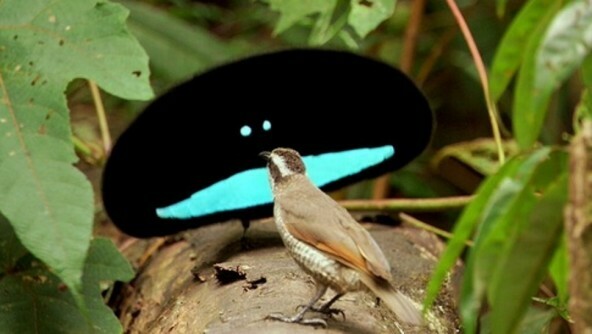 Have you ever observed the mating dance of the birds of paradise? The male moves dramatically, and in response, the female inches away, but ultimately the male conquers the female, and achieves the purpose of this ritualistic, instinctive dance. Well, the Democrats and Republicans have been dancing ritualistically quite some time now like birds of paradise. The Republican Congress leaps dramatically to the right, and then the Democratic President and Congress inches to the right, and as a result, the fulcrum of the political balance between the two parties and the constituents that they represent, keeps moving ever so slightly and undetectably to the electorate to the right. Neat, huh? And guess who gets screwed in the end? You got it! In fact, the current Obamacare bill was the Republican version of fixing the healthcare problem in our country. Recall the positions of the moderate Bob Dole Republicans in office back in 1996. And recall former Republican Governor Mitt Romney’s healthcare bill enacted in Massachusetts. Of course, now that Mitt is running for President and the Republican political position has shifted to the precipice of extreme right ideology, he opposes Obamacare and his former Romneycare. LOL! Don’t you just love it. I couldn’t write this stuff. It’s too funny. Don’t believe me? Recall that Obama had talked about a single-payer healthcare bill. Recall that he failed to present this bill to Congress for a vote. Instead in response to the Republican cries of socialism, pink commie, and the like, he then inched over and presented the Romneycare version of fixing healthcare, the original Republican solution to our nation’s healthcare problem of the mid-1990s. Of course, now that the Republicans have leaped to the extreme right (the political right raised to the nth power of infinity), they have not truly proposed any viable solution at all to the prohibitive cost of healthcare except for holistically medically dumping the sick and old on a hill outside Sparta and letting nature take its course. Still don’t believe me? Recall that Obama originally proposed tax increases for those earning more than $250,000 annually, and tax cuts for those earning less. And how did the Republicans dance to that tune? They counter-proposed tax cuts plus a huge estate tax cut largely benefiting the rich. See? President Obama put his left foot out and his left foot in, he put his right foot out, then shook it all about…hokey-pokeying the middle class and turning himself around, and that’s what it’s all about. The problem with doing this dance of the birds of paradise is someone gets screwed at the end of this dance, and guess who does? Always, inevitably, the middle class: no single-payer healthcare system to control costs, making the insurance, pharmaceuticals, and medical companies even richer; tax cuts for the rich, resulting in huge deficits, which are hidden, deferred taxes, later to be passed onto the middle class in customary subterfuge fashion; and ultimately the privatization of medicare and, doomed to follow, social security, eventually abandoning us all on that same Spartan hill after we become old and sick. It’s too bad President Barack Obama and former President Bill Clinton never appeared on “Dancing with the Stars” because they do this dance oh so well, and would be shoo-ins to win that contest hands down with their hokey-pokey, birds of paradise dance. They are so good at it that I bet you didn’t even notice it, did you? This entry was posted in Accountants CPA Hartford, Articles and tagged middle class getting screwed, political fulcrum shifting to right in American politics, President Barack Obama hokey-pokey, President Barack Obama's bird of paradise mating dance, President Bill Clinton hokey-pokey, President Bill Clinton's bird of paradise mating dance, when Republicans leap to right Democrats inch to right. Bookmark the permalink.